An immersion into the connection between movement and music. Explore the beauty of Persian music through the body. We will learn to make this connection happen organically and effectively, recognzing the pulse and phrasing of the melody and rhythms. Early bird $50 (by 9/24) and $65 after that. SPECIAL OFFER FOR MEGAN'S STUDENTS! EB pricing extended to Saturday. More info on the FB event page here. Please add Boulder Workshop in the description and you will be added to the roster. Note times are approximate: We will be performing 2 sets between 2 and 3pm (first Persian Classical Dance and then Belly Dance). 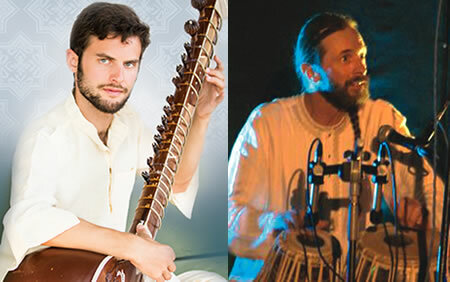 in the Canyon Theater, Main Branch, 1001 Arapahoe, Ave.
mixed with Indian ragas and traditional African sounds in an uplifting fusion. supports communities in East Africa. 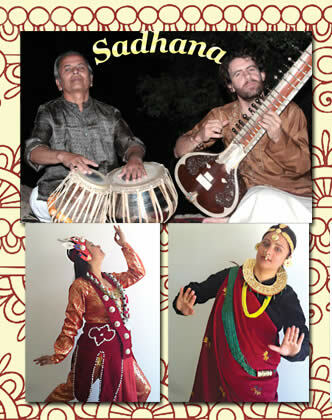 With Jeffrey Rodgers on tabla & Megan Yalkut on sarod and vocals. We are so excited to have this fresh, new talent and wealth of knowledge here in Colorado!! Gala Show! "Memories of the Mediterranean"
Featuring Lebanese Simon Sarkis and local guests artists performing a variety of traditional dance styles. 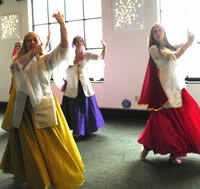 Megan of Hamsa Arts will be presenting Persian Classical dance. Tickets:$15, Buy tickets online here. at Kinesis Studio. Dont miss this rare opportunity to study with someone from the source! Note times are approximate: We will be performing 2 sets between 1 - 2pm (one Belly Dance, and the other Persian Classical Dance). 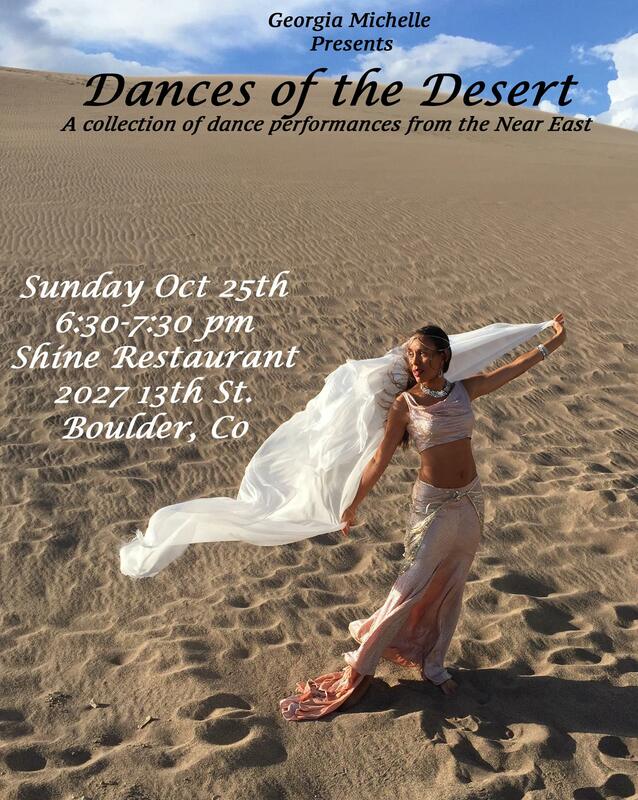 Featuring performances by Megan and Hamsa Arts Dance, Georgia Michelle, Natasha, Sahara Silk Road Dancers, Habina, Christine Figure 8’s, Amina, Beledi Dance Caravan and Tribe Nawaar. $5 Cover. Please come support your local artists! SATURDAY, NOV 8 around 3:30pm in the Canyon Theater, Main Branch, 1001 Arapahoe, Ave.
940 Pearl Street, Boulder, CO.
in an intimate home concert setting! Ariana Saraha returns to Boulder to enchant us with her magical, mystical voice and music with a semi private house concert hosted by Hamsa Arts. Check out her music: www.arianasaraha.com. $10 or $7 + non-perishable food or toiletry item. At the United Church of Broomfield, 825 Kohl ST. Opening the program will be a half hour presentation on kathak dance by Dr. Sarah Morelli, accompanied by Megan Yalkut on sarode and Abhiman Kaushal on tabla. At the Denver Art Museum. 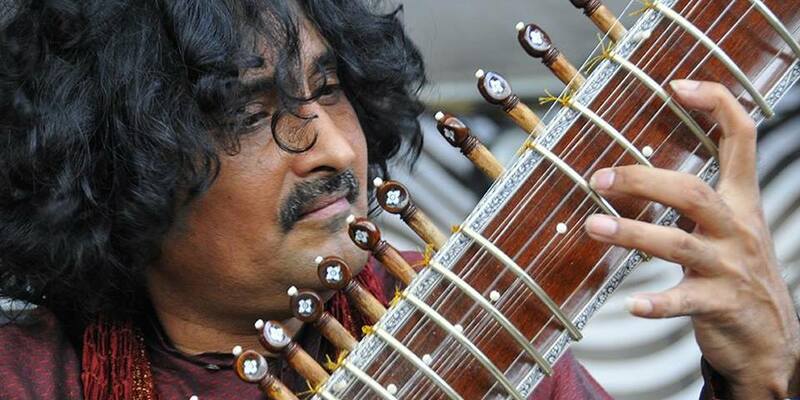 Acclaimed instrumentalist Rajeev Taranath is one of India's leading masters of the sarod, the lyrical and richly textured relative of the lute. Accompanied by outstanding tabla (small drum) artist Abhiman Kaushal, much sought after for his sensitive accompaniment and intense solo playing, Master Musician Taranath enchants his audience for a wonderful afternoon of Indian classical music. 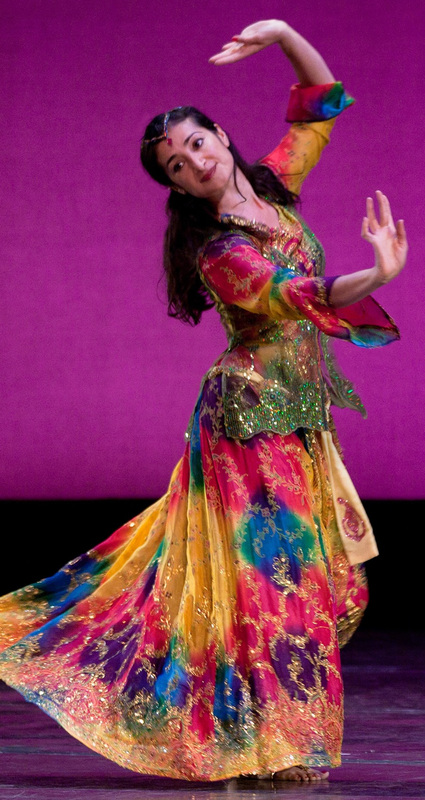 Sarah Morelli, professor of world music at DU, supplies explanations, color, and the exquisite movement of classical Indian dance as a counterpoint. This first workshop in the Thangka Painting series will focus on the fundamentals of drawing. In traditional Tibetan learning, the student will continue drawing practice for months or even years before they progress on to painting, but here in the faster paced West we will dedicate one workshop to this basis for the art, for each student to continue practicing on their own. 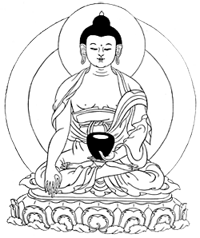 Our goal for the workshop will be to draw the Buddha you see to the right, beginning with understanding the sacred geometry of the diety, using a thigse (grid). The process bears a strong resemblance to "drawing from the right side of the brain" and is beneficial to those wishing to strengthen their drawing/seeing skills in general. We will start with pencil and optionally move on to inking and/or shading. DANCES RARELY SEEN IN THE WEST! Jeffrey Rodgers in a Tabla Solo. in front of the Court house in the "dance tent"
At Hansa Arts, 1919 Spruce ST, Boulder CO.
Potluck and party to follow concert. Rajasthani Gypsy or Kalbelia Dance is fun, lively, folkloric and non-technical. It is characterized by rhythmic stomps and kicks everchanging hand movements, spinning, and dancing on the ground and with partners. It is a dance for fun and celebration. Many people have seen this dance in the Indian portion of the film Latcho Drom. 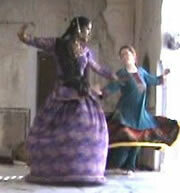 Annya Ishtara studied dance with Kalbelia women in Rajasthan, India.The Kalbelia people are the gypsies of Rajasthan. Snake charming is one of the traditional occupations of these formerly nomadic people. Many scholars believe that gypsies originated in northwest India (the area of Rajasthan) and traveled through Asia to Egypt, Turkey, and beyond into Europe and other parts of the world. As part of understanding one of the many roots of bellydance, Annya went to India to learn dances of the Kalbelia people. She also studied Ghoomar Ladies Dance, another folkloric dance, while in Rajasthan. 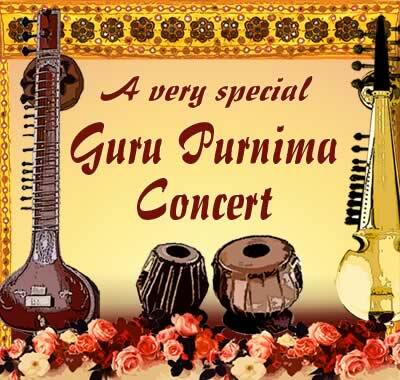 A very special evening of Music from India & Nepal! 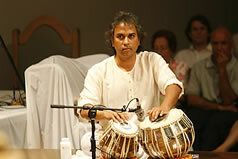 Pandit Homnath Upadhyaya is a master tabla player from Nepal, who has performed world wide with many renowned artists. We are honored to have him in the humble setting of a Boulder home concert, a very special opportunity to watch a master up close! 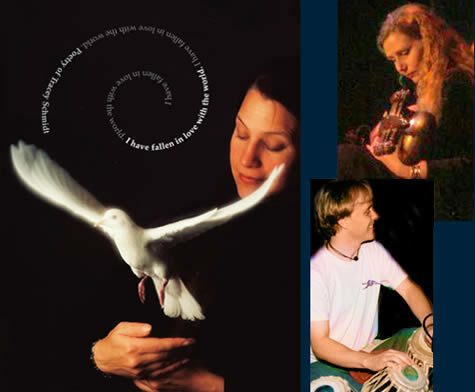 Megan Yalkut performing with Pandit Homnath Upadhyaya at Berry College, GA.
SATURDAY, NOV 6 at 2pm in the Canyon Theater, Main Branch, 1001 Arapahoe, Ave.
MONDAY, NOV 1 at 7pm at Meadows Branch Library, 4800 Baseline Rd. 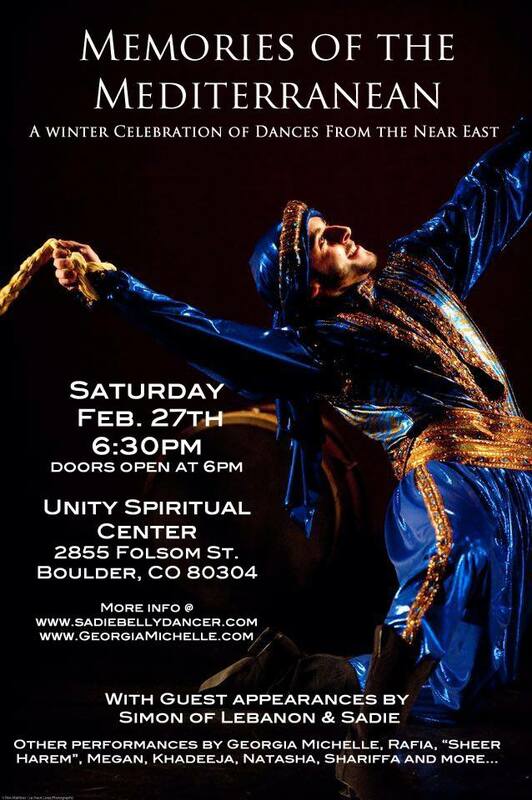 Featuring Sarah Morelli: kathak dance, Megan Yalkut: sarode, Nabin Shreshtha: tabla. Also featured is Joginder Singh Virdiji: vocals. An exciting blend of East meets West, featuring Clay Kirkland: harmonica and vocals, Megan Yalkut: sarode and vocals, Joe Diamo: percussion, keyboards, Brian Trumble: upright bass, and Jeffrey Rodgers: hammered dulcimer and tabla. This concert is a benefit for Richard Reed. Classical Indian music performed at the Yak & Yeti restaurant. Megan will be belly dancing periodically throughout the evening as well. Location: Yak and Yeti, 8665 N. Sheridan, Westminster (88th & Sheridan). An exciting blend of East meets West, featuring Clay's blues harmonica and joined in the the second half by the Indian instruments of the Rhythm Mystics, including Megan Yalkut: sarode and vocals, Joe Diamo: percussion, keyboards, Brian Trumble: upright bass, and Jeffrey Rodgers: hammered dulcimer and tabla. Andrew Harvey - "Sacred Activism: The Transformed Body"
Way of Passion: A Celebration of Rumi, The Son of Man: The Mystical Path to Christ, The Return of the Mother, and The Hope: A Guide to Sacred Activism. Andrew will offer three powerful practices to help us experience the energy and passion of the Divine Human Body. He will draw on the Vedas, the Kabbalah, the Gospel of Thomas, and the evolutionary mysticism of Sri Aurobindo. 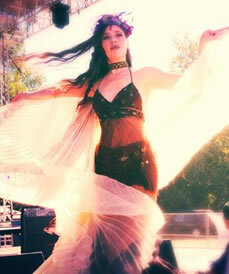 1st half: Hamsa arts will present belly dance, by students of Megan, and a solo dance by Megan. An exciting blend of East meets West, featuring Clay's blues harmonica and the Indian instruments of the Rhythm Mystics, including Megan Yalkut on sarod and vocals, Ed Contreras on percussion, Chris “Citrus” Sauthoff on sitar and guitar, and Jeffrey Rodgers on hammered dulcimer and tabla. Also featuring Megan's belly dancing. More info at the Swallowhill website. Megan Yalkut will be presenting a workshop on the devotional and classical traditions of Indian Music. demonstrations, art exhibits, master classes and music concerts. Click here to view poster for this performance. Taught by special guest Lama Pema from Bhutan, this will be a wonderful art retreat experience. Learn step by step how to draw and then paint a mandala. A day of meditation in action. Click here to view the poster for the workshop. 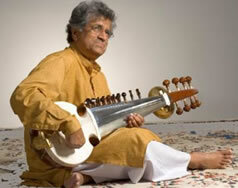 and Jeffrey Rodgers on tabla. Clay's " Every Breath is a Gift Tour" opens with solo blues harmonica by Clay and second half is joined in an East meets West style by the Rhythm Mystics, featuring Megan Yalkut on sarod and vocals, Ed Contreras on percussion, Chris “Citrus” Sauthoff on sitar and guitar, Linda Flinkman on keyboards, and Jeffrey Rodgers on hammered dulcimer and tabla. Rachid Halihal - Middle Eastern Music, 7-9pm @ St Julien & 10pm @ The Hookah Shop. Belly Dancing by Megan. Ariana Saraha & Megan Yalkut open for Tina Malia in Concert. Masonic Center, Boulder.